Are you losing out on your credit cards' hidden benefits? Does one or more of your credit cards offer special consumer benefits, such as extended warranties, or price or purchase protection? You don't know? You don't even know what those phrases mean? Don't be embarrassed. Plenty of people are in your position. But you really should find out by checking your card agreements or issuers' websites, because you could be missing out on thousands of dollars in savings. While you're reading up on these, try to get your head around the relevant terms and conditions, because these can vary between both companies and individual cards. Even if your plastic does provide these (and many, but by no means all, products do), there are certainly likely to be restrictions on when you can claim. But all these protections are free with eligible cards. And it's amazing how often people successfully do make claims -- and how much they can save. Have you ever bought something only to see the exact same product advertised a week or two later for much less? Irritating, huh? It needn't be, if you paid using plastic with price protection. Provide your card issuer with your receipt and proof of the lower price, and you could get the difference refunded. There are limits on the time you have between making the purchase and the claim (typically 60 or 90 days), and caps on the amount you can receive, maybe $500. Actively searches for 60 days on purchases you register online. Has a cap of $1,200 per account per year on refunds. Refunds even small amounts, having eliminated the previous $25 minimum. Not all Citi credit cards are eligible for this service, so check to see if yours is. Way worse than finding you've paid a bit too much for something, is when your purchase is lost, stolen or accidentally damaged soon after you bought it. Again, some cards can ride to your rescue. You can easily find credit cards offering this sort of coverage, typically for 90 days after purchase. Claims are generally capped, often at $500 or $1,000. At least as frustrating as paying too much for a product, or having a new item stolen or damaged, is having a major appliance break down soon after its manufacturer's warranty has expired. Replacing one of these can be eye-wateringly expensive, and repairs rarely come cheap. Let's hope you paid for your large (or small) appliance using a credit card that offers extended warranties. These typically double the length of the original manufacturer's warranty, giving you up to a year's extra cover. There are likely to be additional exclusions, over and above the manufacturer's, and you're going to have to provide some supporting documentation. Also, it's up to your card issuer to choose whether to repair the item, or replace it or refund you its value. But many a consumer has saved a pile of money through these. Just about all the big credit card companies -- including American Express, Capital One, Chase, Citi and Discover -- offer all three of these benefits free of charge on at least some of their cards. Those often come with a range of other free perks and protections, including return protection (you might be eligible for a refund in some circumstances if a retailer refuses to accept back goods you don't want), 24-hour roadside assistance and various other perks and protections when you're traveling. And, of course, if you have rewards credit cards, you stand to get a whole lot more freebies, in the form of miles, points or cash back. 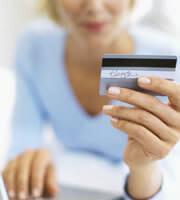 Moreover, paying by credit card provides unique protections against fraud. It's well worth discovering everything your plastic offers you. Not knowing could cost you thousands. 0 Responses to "Are you losing out on your credit cards' hidden benefits?"